Relativity Media Release Highly Cheesy International Trailer for Tarsem Singh's 'MIRROR MIRROR'! Relativity Media have released an international trailer for their upcoming PG-rated version of the Brothers Grimm story Snow White & the Seven Dwarfs based adaption Mirror Mirror. In the upcoming Tarsem Singh directed movie wicked enchantress [Julia Roberts] schemes and scrambles for control of a spirited orphan's [Lily Collins] throne and the attention of a charming prince [Armie Hammer]. 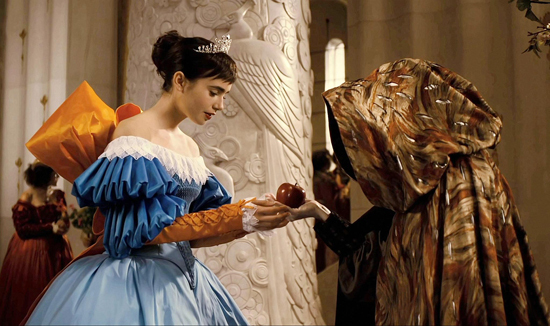 When Snow White's beauty wins the heart of the prince that she desperately pursues, the Queen banishes her to the forest, where a ravening man-eating beast hungrily awaits. Rescued by a band of diminutive highway robbers, Snow White grows into an indomitable young woman determined to take back her realm from the treacherous Queen. 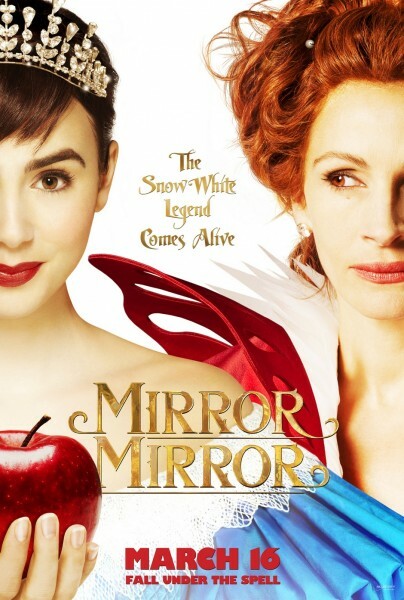 Mirror Mirror hits theaters this March 30th. Hit the jump for the details. Synopsis: "In Relativity’s Mirror Mirror starring Oscar®-winner Julia Roberts and breakout star Lily Collins (The Blind Side), an evil Queen (Roberts) steals control of a kingdom, and an exiled princess (Collins) enlists the help of seven resourceful rebels to win back her birthright in a spirited adventure comedy filled with jealousy, romance, and betrayal that will capture the imagination of audiences the world over. The film also stars Armie Hammer (The Social Network) as the object of their affection, Prince Andrew Alcott, and Nathan Lane (The Birdcage) as the hapless and bungling servant to the Queen." I'm reading: Relativity Media Release Highly Cheesy International Trailer for Tarsem Singh's 'MIRROR MIRROR'!Tweet this!